CUCBC organises a number of competitions throughout the year, in addition to the college-run events. 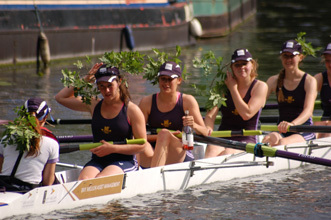 In addition to the competitions run by CUCBC, a number of intercollegiate events are run by the college boat clubs. Full details and rules of the competitions can be found in the Regulations for Racing in the Handbook.